Lewy body disease is a common neurodegenerative disease of ageing. This means that the disease causes gradual brain damage. For reasons not fully understood, it occurs when there is an abnormal build up of a protein called alphasynuclein in brain cells. These abnormalities occur in specific areas of the brain, causing changes in movement, thinking and behaviour. Lewy body disease affects over 100,000 Australians. 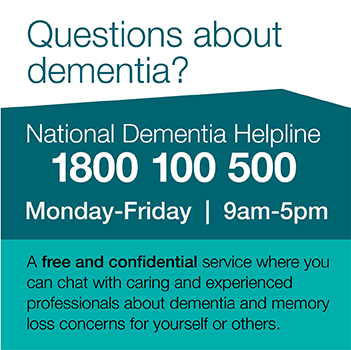 It is one of the most prevalent causes of dementia, but unlike Alzheimer's disease, it is not well known. This overlap results in the disease being called a spectrum disease. This DVD features Robin Groves, who was diagnosed with Lewy body disease in 2006 and his wife Lis, and discusses how Lewy body disease has affected their lives, and features, and discusses some of the challenges they have faced. Robin and Lis - Robin and Lis talk frankly about the condition, and about the changing behaviours Robin experiences. A typical case? - discusses signs and symptoms of the illness. Visiting the doctor - strategies to ensure the doctor or medical professional gets the information they need to provide appropriate ongoing care.